← Oh My American Gawds! I was already in the middle of an Arrested Development rewatch when the news came that a fifth season was happening. I’m choosing to believe I’m responsible. Let me know your revival requests, I’ll see if I can manifest them. Anyway, one thing that frustrates me about the culture surrounding the show is that everyone likes the crazy family, while fans tend to look down on the actual protagonist. Like, I was once on a site that had a “who’s your favorite character?” thread. The length of the thread was pretty extensive. And every character got a mention multiple times. Except Michael. He didn’t get a single mention on the whole thread. This bothers me, because he’s my favorite. And he’s what’s keeping everything together. Ron Howard tells us so at the beginning of every episode. Without Michael, Arrested Development simply doesn’t work. Also, he’s not a humorless and boring straight man every time he’s onscreen. He’s just surrounded by over-the-top lunatics. Michael’s subtler, and I for one appreciate that more than any of the surrounding madness. So, in honor of the return of the Bluths, here are 10 times Michael was the one who made us laugh. Throughout the episode, there are references to characters accidentally touching the cornballer and getting horribly burned. But we see it happen to Michael himself multiple times. And he goes from being his calm reasonable self, trying to have a serious talk with his family, to screaming a litany of bleeped out swear words. This was called back in the 4th season, when he tries to open a car door after first arriving in Phoenix, Arizona. This is an ongoing one. 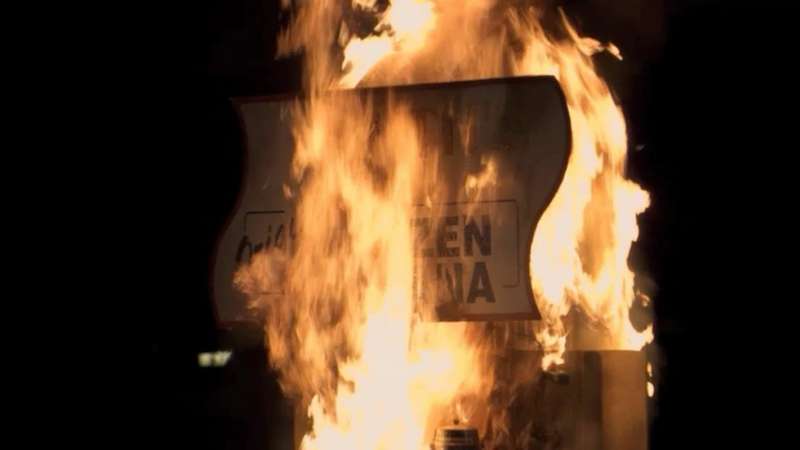 First, Michael finds out his son wants to burn down the Bluth’s Original Frozen Banana Stand, then decides, what the hell, let’s just start over, and helps him. “Taking Care of Business” starts playing, and Michael’s brother, GOB joins them, at which point it’s revealed that GOB didn’t mail an important check, and Michael gives chase, while GOB tries to make a getaway on his Segway. Actually anytime Michael chases GOB and subsequently gets in a physical fight with him, belongs on here (“Beef Consommé”). Cut to the next day at the prison, where Michael takes great satisfaction eating an ice cream sandwich, his prisoner father’s favorite snack, in front of him, while telling him that the banana stand is gone, before his father, George, reveals that the stand was lined with cash, which is now all gone in the fire. George screams “how much clearer can I make it? There’s always money in the banana stand!” Michael’s reaction is one of “I’ve made a huge mistake” as George begins to throttle him. Season 4 showed Michael falling into a deep pit of misery from a combination of bad luck and bad choices. After finishing building Sudden Valley, the housing market takes a nosedive, and there’s no one living in the town other than Michael. The perfect visual representation of this is when Michael opens the front door and a tumbleweed comes bouncing in the house. After several jump cuts of him trying to kick it out, it moves further into the house, and Michael continues trying to kick it away in vain. GOB: You know, I sort of thought my contribution could be a magic show. Michael: Oh, that’s perfect, Gob. Michael: Or, wait a minute. I just remembered something – Dad’s retiring, not turning six. Michael never quite losses his sense of humor. Even when it seems like he’s reached his breaking point. Michael decides that since he’s no longer the president of the Bluth company, he’s going to be “fun.” It starts out okay. At the office Christmas party, Michael and his niece, Maeby, keep licking candy and sticking it to the back of GOB’s suits (tired of him bragging about how expensive they are), and Michael seems to be having a pretty good time. Then he tells Maeby, to fire up the karaoke machine, and they’ll do a duet of the first song that comes on. Maeby does, and they get about halfway through “Afternoon Delight” before Michael realizes just how inappropriate a song it is to be singing with his 15 year old niece. Later in the episode Lindsay and George Michael make the same mistake. In an attempt to get the attention of the Bluth company employees, Michael gets plastic whistles made up for them and scatters them across the table during a business meeting, telling them that if they see anything going on in the company that seems shady, they should blow the whistle. This backfires spectacularly as the employees all blow the whistles constantly, until Michael has to collect them all back, like a teacher punishing an unruly class. Michael doesn’t have a good relationship with his mother. And none of the relationships in the show are what you’d call “healthy.” But every once in a while, Michael just has to tell someone about all the crap he’s dealing with. On one such occasion, Lucille scoops him into a hug, which she had only ever done once before. Confused, Michael asks why she’s squeezing him, and she explains it’s a hug. 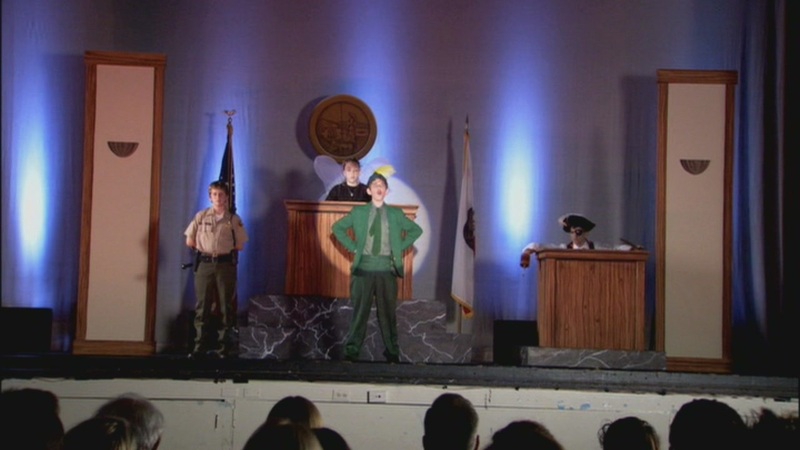 One of my favorite running gags is the Peter Pan play Michael starred in as a child. We get a glimpse of it, and the execution of bad choreography and kids just trying so darn hard to do their parts rights, while the hook prop falls off the captain and a plinky piano plays accompaniment never fails to make me giggle. When Michael first meets Maggie Lizer, he’s encouraged to pretend he’s a lawyer, believing he played a very convincing one in the school play. Playing off the Captain Hook song he sang, he says he’s a maritime lawyer. Seasons later he again takes the role of a lawyer in a mock trial for the same reason. And in season 4 it gets brought up again when the family needs an actual maritime lawyer. After successfully bringing home a nice office chair by tying it to his bike (as a reward to himself for not stealing GOB’s girlfriend), Michael attempts to do the same with a TV balanced precariously on a skateboard. It doesn’t go as well. For sheer simplicity, I think my all-time favorite moment in the show was in the second episode when he finds a brown bag in the fridge with the note: DEAD DOVE. DO NOT EAT. And then looks inside the bag. The look of disgust on his face is both from seeing a dead bird and his own stupidity. To me, it’s the ultimate example of the understated quipping he steadily doles out, while a world of madness is falling down around his ears. This entry was posted in tv and tagged afternoon delight, arrested development, banana, beuster, bluth, cornballer, dead dove, george, george michael, GOB, hug, Lindsay, lucille, maeby, michael, netflix, oscar, peter pan, stand, tobias, tumbleweed, whistle. Bookmark the permalink.